Sometimes it's easy to forget that New York City makes up only a tiny fraction of the state we call home. Sure, the city has impressive views and lovely parks, but it's the rest of New York that will take your breath away. 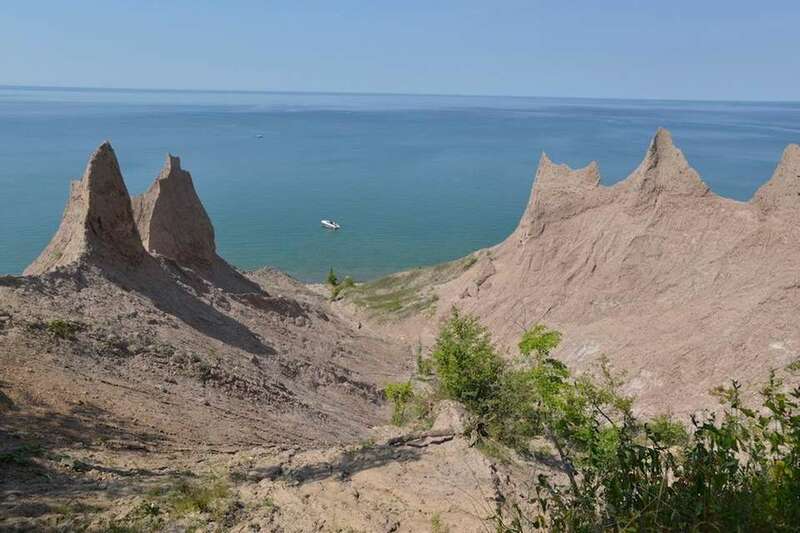 For an exciting and beautiful weekend or day trip, head north for incredible mountain ranges; west for spectacular waterfalls and gorges; east for bluffs overlooking the ocean. We have glaciers (and thousands of years) to thank for stunning landscapes just hours away by car, bus or train. Pick a spot and go explore. There's nothing quite as breathtaking as a sea of purple lavender plants swaying in the breeze. Lavender By The Bay in East Marion (Long Island) is a farm that specializes in lavender and lavender products. There are more than 80,000 plants across 17 acres and you can walk among them and pick your own when its open to the public (weekends in May; daily between June and September; and Thursday through Monday in October). Ausable Chasm, which some call "The Grand Canyon of the Adirondacks," is a two-mile long sandstone gorge just south of Plattsburgh. This is a natural wonder that you can really explore -- try rafting, tubing or rock climbing in the summer. Storm King is an outdoor sculpture park with sweeping views of Storm King Mountain, which overlooks the Hudson River in Cornwall on Hudson. Here, you'll find a dramatic landscape of farm fields, wildflowers, woodlands, ponds and streams, with eye-catching art spread throughout. The juxtaposition of nature with man-made art is spectacular. The Sonnenberg Mansion is on the 52-acre Canandaigua State Historic Park in the Finger Lakes region of upstate New York. 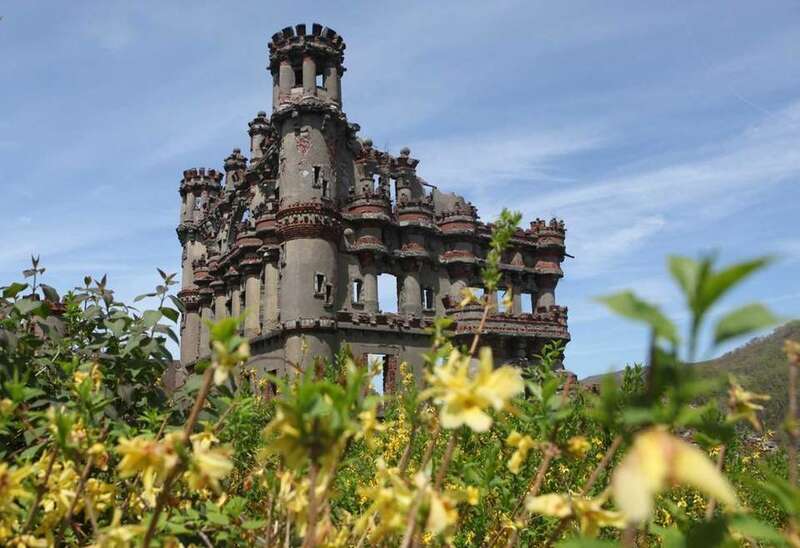 It's one of the most extensively preserved country estates from the Victorian era, according to the State Parks Department. Built in 1887, the mansion was home to Frederick Ferris and Mary Clark Thompson and has since taken on other styles, including Italian, Colonial and Japanese. 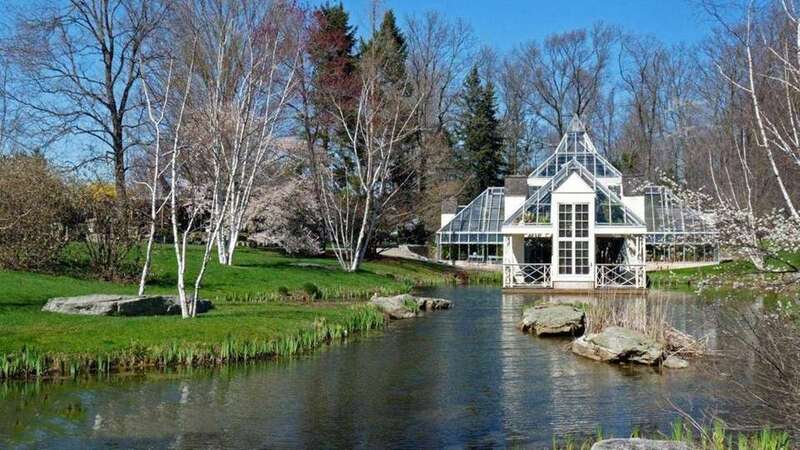 You can tour the home and take part in a number of events through the year, including its orchid show, Rose Week, moonlight strolls and an Arts At The Gardens show. Beautiful but eerie, this crumbling mansion in Cold Spring has become a sight to behold. Around 1917, Edward Joel Cornish and his wife Selina Bliss Carter Cornish moved into the home, which had a pool, multiple fire places, a greenhouse, a garage and a barn. Tragedy struck, however, when in May 1938 the Cornishes died within two weeks of each other. The property was left to fall into disrepair and caught fire in 1958, further destroying the once-stately mansion. Now, the secluded home's stone walls stand like a skeleton in the woods, almost beckoning hikers to take a look. 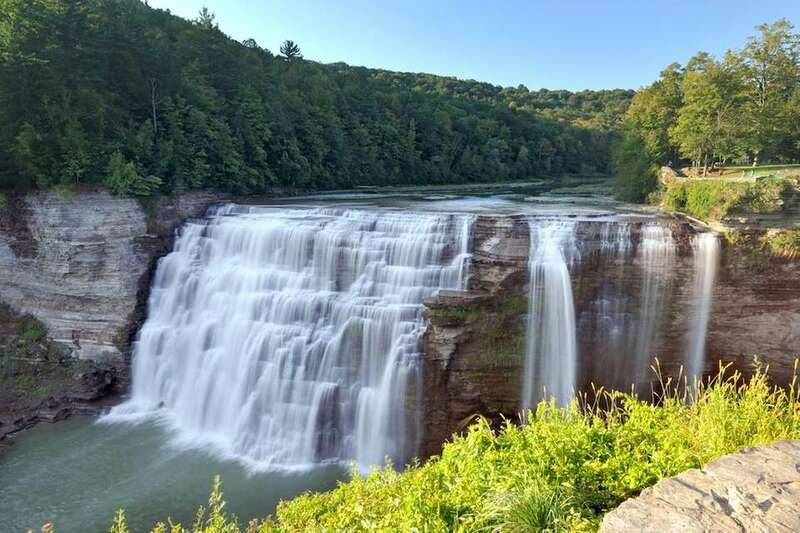 This state park is located in Ithaca in the Finger Lakes region. It features nine miles of hiking trails, 12 waterfalls, a stream-fed pool at the base of a waterfall and more. 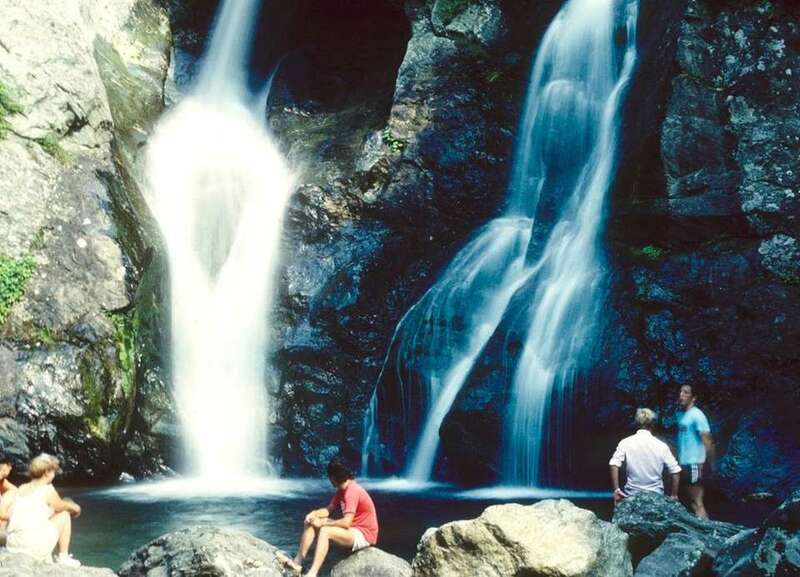 The biggest waterfall, Lucifer Falls, is 115 feet tall and the focal point of the park. The park also includes cabins, campsites, picnic areas, showers and playgrounds. Eternal Flame Falls is located in Chestnut Ridge Park in Eerie County. The park features hiking trails, cycling paths, picnic areas and more. The grotto at the base of the waterfall emits natural gas, so don't be surprised if you smell rotten eggs. This area of the ravine can be lit to produce a small flame, about four to eight inches high. The flame is typically always lit, but you may want to bring a waterproof lighter or matches in case it's blown out before you arrive. The 140-year-old Sodus Bay Lighthouse sits atop a 20-foot bluff and is open from May through October. The lighthouse is a maritime museum and tourist hot spot. You can also swim and fish at the beach and visit local restaurants for a fun day trip. Photo of the Mountain Village of Lake Placid at Sunrise from a Fog Covered Mirror LakeLake Placid offers a bevy of winter sports that everyone can participate in, such as skating on the rink where Sonja Henie won a gold medal in the 1932 Winter Olympics. During the winter, you can also go on a dogsled ride across Mirror Lake or ride down the toboggan chute, a 60-foot-tall reclaimed and recycled ski jump that also descends to Mirror Lake. But Lake Placid isn't only a winter destination. 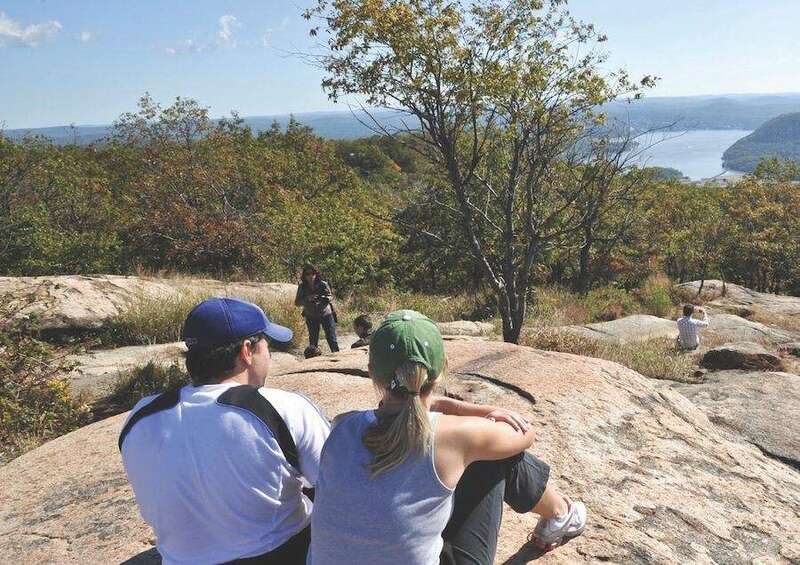 There are hundreds of hiking trails, plus rock climbing, whitewater rafting and fishing. Located in the Adirondack Mountains, Whiteface Mountain is one of the region's highest peaks. At the top of one of the trails you'll find stone stairs. If the steps are too intense, you can drive to the top along Veteran's Memorial Highway that begins in Wilmington. You'll also find an elevator inside the mountain that requires a walk through a tunnel. On a clear day, you can see Vermont and Canada once you reach the top. There's also a restaurant and a gift shop. Wild Walk in Tupper Lake lets you see the Adirondacks like you've never seen them before. Visitors can take a series of bridges up to the treetops of the forest. You'll find a four-story tree house made of twigs, swinging suspension bridges and the Spider's Web, where you can lay and explore the ground below. At the highest point, you'll find a full-sized bald eagle's nest -- a perfect spot for pictures. What makes these cascading falls so unique is that they are situated in the heart of the Cornell University campus in Ithaca. According to roadtrippers.com, the best views of the water are from the Triphammer Foot Bridge or the East Avenue Bridge. There is also an abandoned school laboratory at the base of the falls. For more information, visit newyorkupstate.com.